Marriott's OceanWatch Villas at Grande Dunes are situated directly on the oceanfront in the esteemed Grand Dunes community in the midst of a beautiful stretch of the Grand Strand coastline. Marriott's OceanWatch Villas offers a selection of luxurious, spacious, 2 bedroom villas and features a myriad of on-site recreational amenities to ensure your entire family will hava a great Myrtle Beach vacation. The resort's roomy, 2 bedroom, 2 bath villas have a separate living room with a sleeper sofa, a dining area, a fully equipped kitchen and a private balcony or patio offering spectacular ocean or garden views. 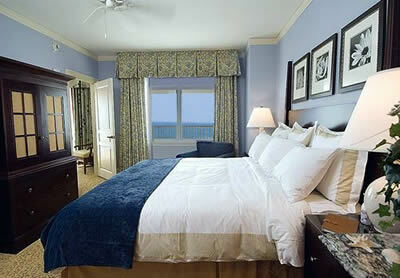 The master bedroom features a king size bed and master bath. 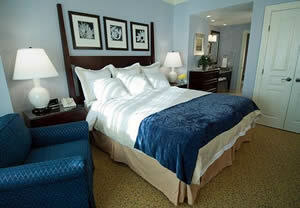 The guest bedroom has two queen beds. 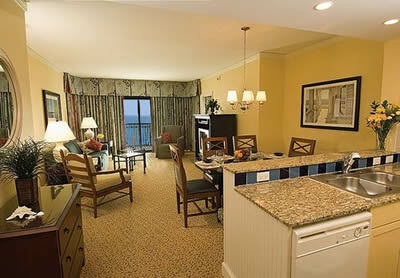 The Marriott's villas have a washer & dryer and can accommodate up to 8 guests. Free Wi-Fi access is available in all villas. Marriott's OceanWatch Villas features a myriad of recreational amenities including an outdoor pool, outdoor children's pool, indoor pool, indoor children's pool, a heated whirlpool, table tennis and a fitness facility with cardiovascular equipment & free weights. The Marriott's Activity Zone Experience offers a wide range of activities to keep the kids entertained. Guests will enjoy family bingo and "Kids' Night In" with pizza, games, prizes and a movie. 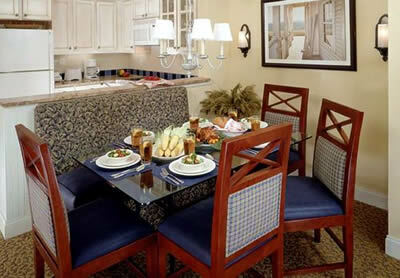 Marriott's OceanWatch Villas at Grande Dunes provides several dining options. Visit the Pizza Hut Express for great pizza (open for lunch & dinner) or stop by The MarketPlace for snacks, cold drinks, ice cream, Starbucks coffee, specialty espresso drinks and much more. The MarketPlace is open for breakfast, lunch and dinner. 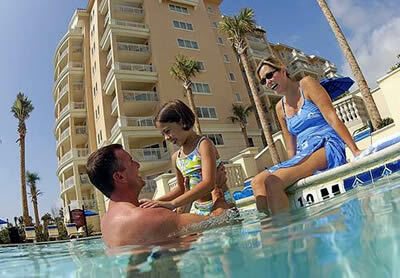 Poolside dining is available at the Sand Dollar Pool Bar (lunch & dinner) or the Woodsy Grill & Pool Bar (lunch). Both are open seasonally. 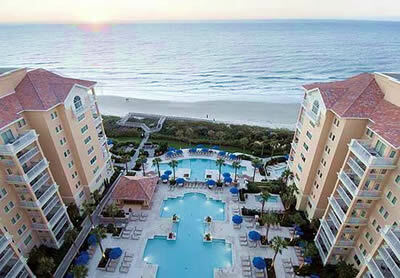 For Huge Savings on more oceanfront condos and hotels in Myrtle Beach, South Carolina: Check out these fantastic Vacation Rental Bargains today!